Renee Magritte steals our breath with paintings that twist reality. Museum curators have put this artist in the surrealist category: paintings that blur the lines between what is real and what is absurd. At times, it is a careful play between two things which are true to the eye, but not quite at the same time. Like a fish head at one end and a woman’s legs at the other. Renee’s photo-like depiction of scenes separate him from his surrealistic art buddies. He reaches into classical training to create serenity. Then, blam! The extraordinary emerges. 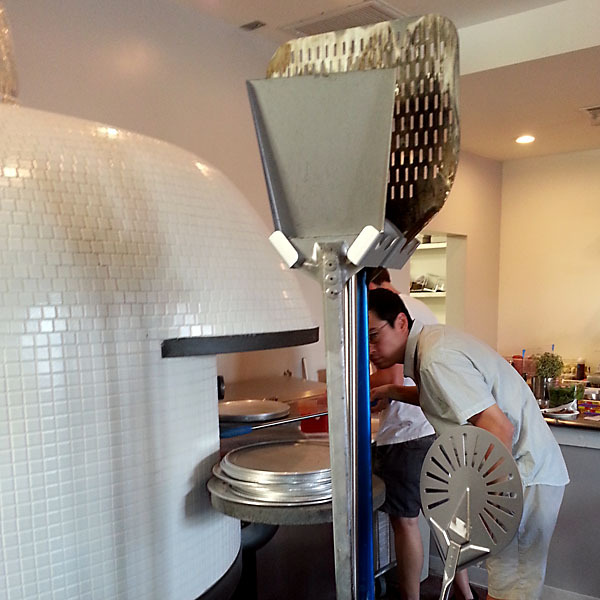 The same is true for the artists cooking pizza at Bufalina. Chef Steve comes by this gift the same way the other greats have. He learned from the Neapolitan masters in the old country. His skills were tempered in the heat of Italian pizza ovens. His dough crackles and stiffens in an oven who’s deck is over one thousand degrees. The dome temperature rises to twelve hundred. The furnace is so hot that in the morning, long after the dragon has breathed it’s last, the oven temperature remains at 600. For those keeping score, a home oven cannot crank past 550 degrees. Yet the story of Bufalina lies not in oven temps. Nor is it in the hipster setting of East Austin. Bufalina paints in perceptual reality. What lives inside of the mind of the diner. Renee Magritte painted a pipe with a script which read “this is not a pipe.” (The Treachery of Images, 1929). Renee invites us to hold the duality of what we perceive and knowledge that it’s just a bunch of pigment on a canvas. We stand pensive. We chew on the idea that all we see is nothing more than movie picture in our mind. Chef Steve does the same with the pantheon of pizzas. 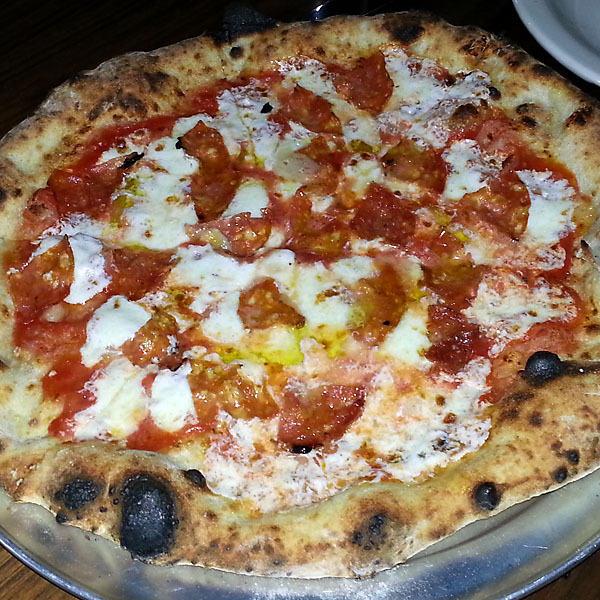 Every Neapolitan pizzaiolo serves Margarita or Marinara varieties. That’s like a poet writing a haiku. Interesting but not really the full potential. Steve takes the familiar and nudges it to the surreal. 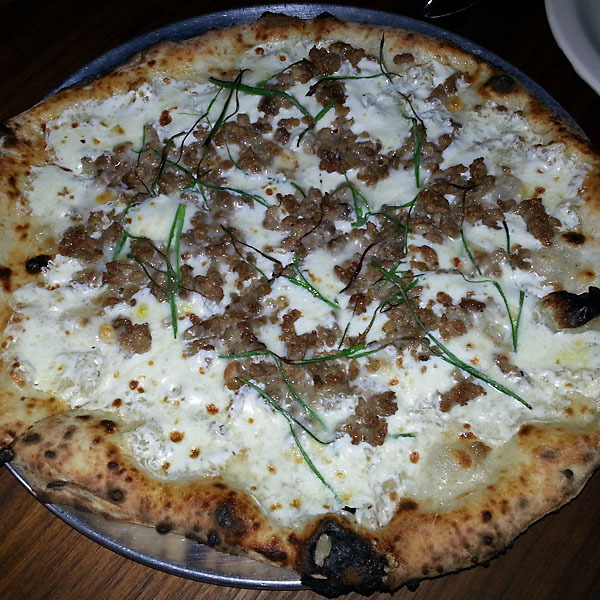 Our brains stretch to consider taleggio cheese, sausage and scallions. Beautiful on the canvas in our minds as well as on our plates. Try the “calabrese” with salami and vibrant peppers blanketed with house-pulled mozarella. Heady with sweet. 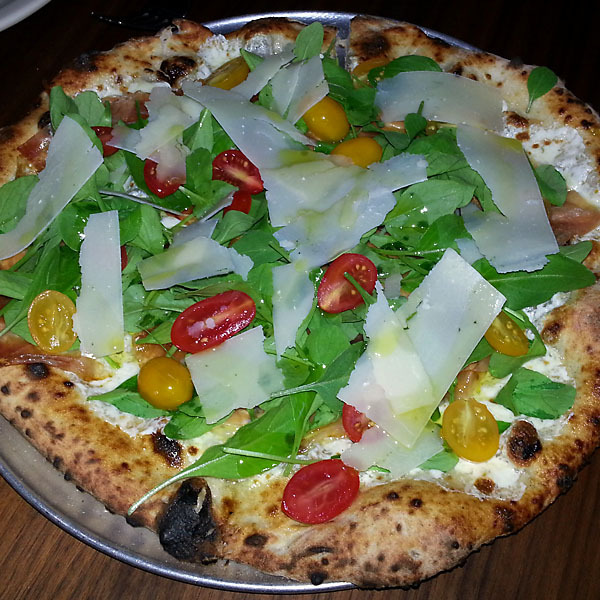 Or “fresca” in which the pizza dough becomes the stage for a choir of bright arugula, cheery cherry tomatoes, Parmesan shingles and rosy prosciutto. 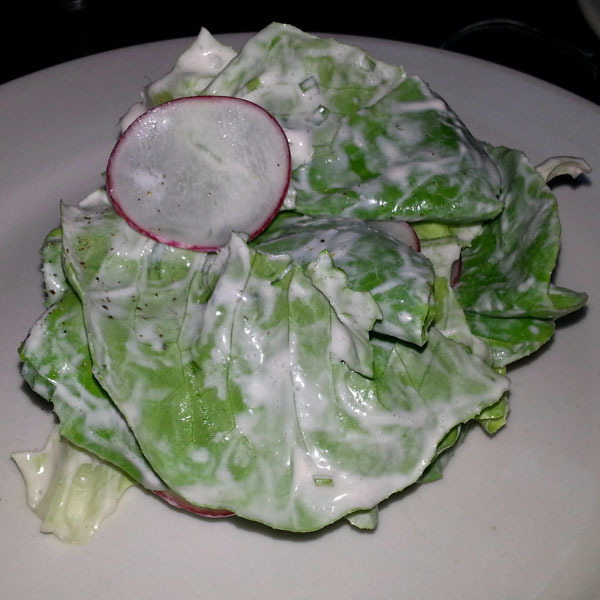 While pizza this good has people queued up for hours on any given night, do not overlook the bibb salad. Bufalina tosses these velvety leaves in a marigold cream, then laces them with radishes sliced into chips. The final assembly whispers licorice on the tongue. Subtle enough to make the dish universal. Yet a signal strong enough entrance lovers of Sambucca. One caution. With skills like this, we must be careful what Chef Steve plants in our mind. Like the spinning top in the movie Inception, Bufalina might just be playing with our dreams. Steve might not look like DiCaprio. But his pizza has me charmed just the same. Experienced something similar? Share it with the group by jotting a note in the comments field. Until then, know that this is NOT a blog post. ← Who knew that crunch was an emotional trigger?